Blog » Skincare » Reality check: Do comedogenic ingredients cause acne? Reality check: Do comedogenic ingredients cause acne? If you have ever been plagued by acne, chances are that you are now extremely conscious of the products you use for your skin. You are a cynical buyer and a consistent label-reader. And yes, you have trust issues with skin products unless the words “dermatologist-tested, hypoallergenic and non-comedogenic” are clearly stated on the packaging. In this article, we will get to the bottom of comedogenic ingredients. Why does this matter, do we really have to check for this everytime we buy something for our skin? Is it truly necessary to shell out more money for non-comedogenic products if we have acne-prone skin? To start off, what does “comedogenic” and “non-comedogenic” mean? A comedo is the least severe form of acne. It is a blockage in the pore caused by excess sebum among other factors, and can later lead to whiteheads, blackheads, or pimples. Thus the term “comedogenic” refers to the likelihood of an ingredient to cause pore clogging, which could later develop into acne. Often heard in conjunction with “comedogenic” is the term “acnegenic,” which means acne-causing. While they are used interchangeably in both scientific studies and product labels, comedogenic substances may not cause acne immediately. In contrast, a “non-comedogenic” ingredient does NOT cause pore clogging, thus characterized by a reduced likelihood of causing pimples or acne. 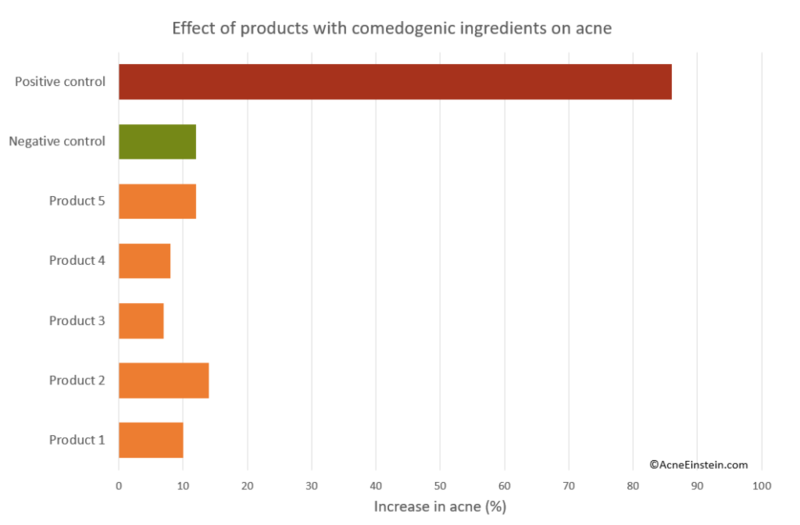 It is commonly accepted that a “non-comedogenic” product is “safe for your skin” and “does not cause acne.” Many beauty blogs and magazines criticize comedogenic ingredients and rage about why you should stay away and avoid them like the plague!You may also come across comedogenic checkers that rate the comedogenicity of an ingredient on a scale of 0 to 5. A lower rating corresponds to a lower chance of pore blockage. So it’s that simple, right? All you have to do is check the comedogenicity of the ingredients and stay away from those with high ratings. While this information is easily accessible and urge you to be more cautious of the products you use for your skin, non-comedogenicity is not quite as simple as it seems. Interestingly, enough, there are several reasons why this label isn’t absolute. Unfortunately, there is no independent organization responsible for verifying the “non-comedogenic” claims on skin care products. In addition, the FDA has not defined a list of ingredients to be excluded in a product that is labeled as non-comedogenic. Standards and regulations regarding non-comedogenicity labeling do not exist at this time, allowing manufacturers to incorrectly claim this label on their skincare products. Skin is highly individualized, which makes comedogenicity standardization very difficult. A product that treats acne in one person may easily damage the skin of another individual. Your skin health depends on a multitude of factors, from biological processes to environmental contributions. Your hormone balance, stress, nutrition, and various skin products can all attribute to acne development in one way or another. Thus, it is quite impossible to guarantee that a single product will significantly improve your acne. With that said, “non-comedogenic” products may still cause acne in some individuals while “comedogenic” products may remain safe in others. While certain tests may help describe relative comedogenicity, they may not be applicable to everyone for the same reason we mentioned above. Because every person’s skin is unique to the individual, a single test cannot absolutely determine comedogenicity for everyone. In the Rabbit Ear Model (REM), an ingredient is applied to rabbit ears daily for several weeks. The skin area is then examined to identify any follicle or tissue changes related to acne. However, this test may not accurately reflect human acne, because rabbit ears are overly sensitive to comedogenic materials. While other animal models (i.e. Mexican hairless dogs, Rhino mice) have been used to describe comedogenesis, none have been concluded to precisely determine comedogenicity due to their inability to mirror the human inflammatory response in acne development. The human inflammatory response is influenced by immune deficiencies among a variety of other factors, many of which are difficult to replicate in animals and thus left unaccounted for during comedogenicity testing. Though human models can make up for the shortcomings of animal models, they still do not perfectly represent the average consumer population for skin care products. Individuals selected for these tests are generally acne-prone and have larger pores in comparison to other product users. 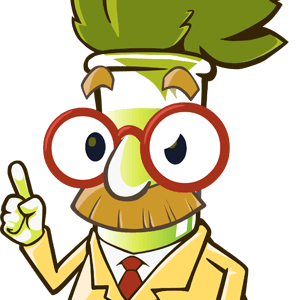 Additionally, the single ingredients are exposed at much higher levels than in real-life practice. While the ingredients in most products are diluted for consumer use, single ingredients in human comedogenicity tests are used at higher concentrations and applied more frequently. The ingredients used for human tests also exhibit increased absorption because the skin is covered up after product application. So…do I need to use non-comedogenic products to be free of acne? 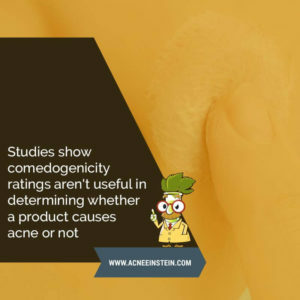 Comedogenicity ratings can give some insight on the acne-causing potential, but utilizing these ratings have not been established as a hard rule. A study led by Dr. Draelos tested various skincare products on human subjects and simply concluded that products with comedogenic ingredients are not necessarily comedogenic. The researchers defined results within a 10% deviation of the negative control as “not causing acne.” The products with so-called “comedogenic” ingredients did not cause additional acne according to this definition. Covering the skin with tape upon application increased acne with all products, including the negative controls. A limitation of this study is that most of the products only had mildly or moderately comedogenic ingredients, none of which were rated a 5 on the comedogenicity scale. Another important note to remember is that the ingredients on the package are always listed from highest to lowest concentration. Be sure to take caution when using a product with these ingredients, especially if they are listed first! So there you have it. 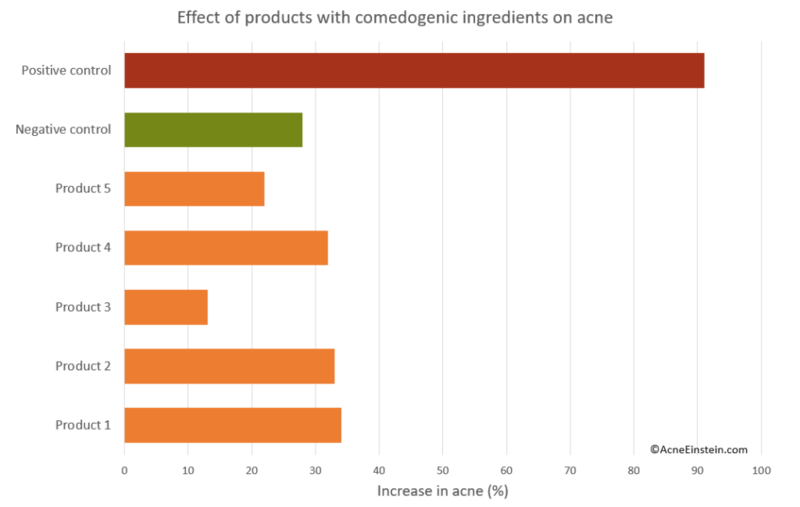 My (not-so-simple) answer to using products with comedogenic ingredients is to be prudent if strongly comedogenic ingredients appear high on the label, but don’t rely solely on comedogenicity. I’m sure that many of you have done well sticking to non-comedogenic products, but sticking to comedogenicity ratings is not a strict rule-of-thumb that needs to be followed. As you can see from Dr. Draelos’ study, many products with comedogenic ingredients contribute very minimally to acne progression. While some people are sensitive to comedogenic ingredients, others are much more tolerant. Remember that each individual’s skin is unique and acne development is a multifactorial process. 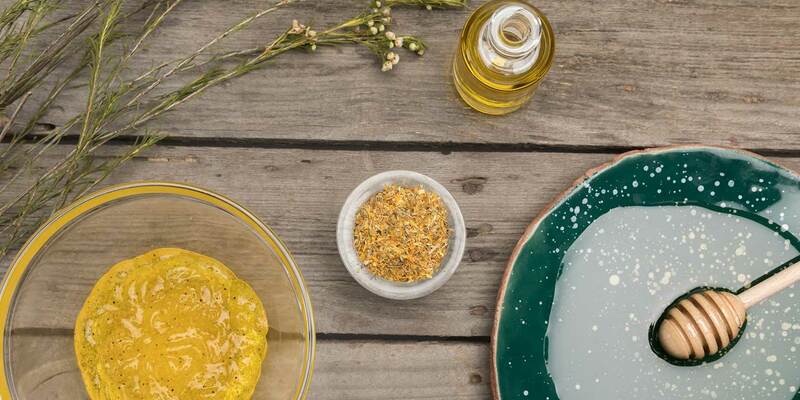 My greatest advice to you is to learn which products and ingredients work best for YOUR skin, regardless of how they are rated on the comedogenic scale. Jooyeon (Pharm.D.) is a registered pharmacist in the United States. Her main role is to edit and review the articles on Acne Einstein to ensure accurate medical information. She graduated with a Doctorate of Pharmacy from Texas Tech University and has been exposed to a variety of healthcare practice settings.